Marr-Gro The marriage of Charles Estaugh and Jemima Thurley was registered on 18 October 1856 at All Saints Church in High Roothing, Essex, EnglandBG. 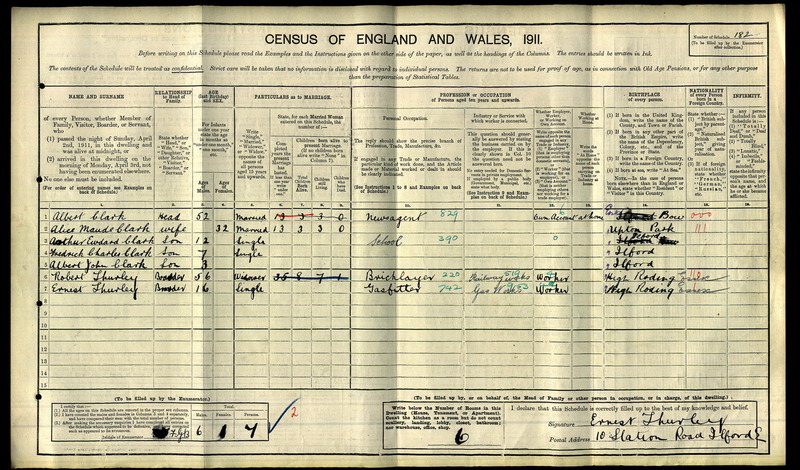 Son George Thurley appeared as the son of Louisa Bird in the 5 April 1891 English Census at Burnt House in Great Canfield, Essex, EnglandBG. Occupation Charles Estaugh was an Agricultural labourer. Birth He was born about 1836. Marriage Thomas Neville was married. Marriage George Bacon and Lucy White were married.